You’re going to look fabulous and see great with your new eyewear! We guarantee it! Come enjoy a browse of hundreds of carefully chosen beautiful designer frames! A great pair of glasses is more than a fashion statement. Our expert team will guide you to the most appropriate lens design(s) for your glasses. We make it easy to understand so your glasses will work as great as they look. Our optical experts are happy to help. They will explain what your prescription means, what your frame, lens, tint and coating options are and give recommendations based on their experience and expertise. Then all facial and frame measurements are carefully taken and your order is sent to our onsite lab. On Site Lab. Our prescriptions are filled in our own lab where care is taken to do quality, accurate work in as short a time as possible. Only first quality materials are accepted and every prescription is verified from your records to provide you with the best vision possible. 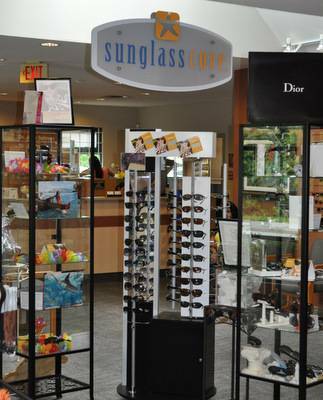 Current promotions for eyeglasses and sunglasses.